11.58 acres of raw land that sits on N. Hurstbourne Pkwy. The property is largely wooded and includes an historic home and pond. Located on the SE side of N. Hurstbourne Pkwy. east of Dorsey Lane. Access to property from Morat Ave. 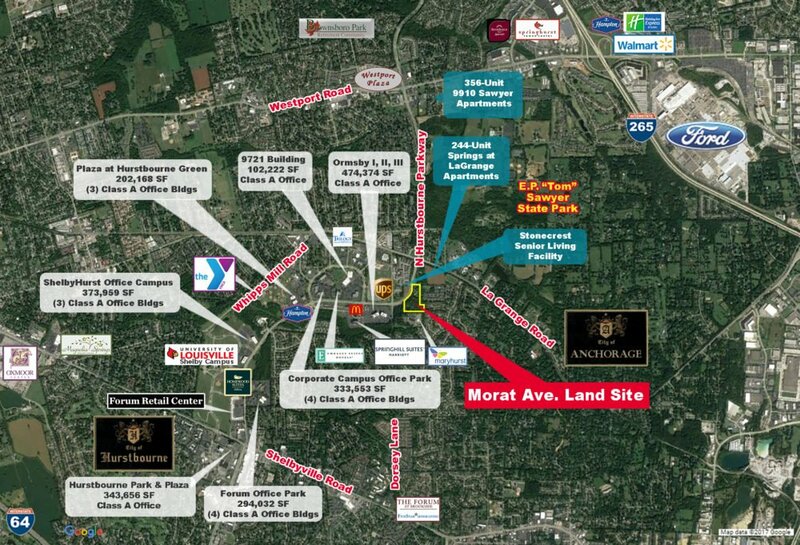 Vibrant area with class A offices, restaurants, senior living, and apartment communities.